Reach new heights in fitness and fun this summer while taking flight at Sky Camp, a supervised, half- or full-day of activities at Tampa’s Sky Zone Trampoline Park. Youngsters ages five and up will be gaining skills and enjoying thrills as they flip and fly while engaging in age-appropriate activities led by instructors. And since all activities are within the safety and comfort of an enclosed, all-walled trampoline playing court, you can rest easy about a fun, safe summer camp in Tampa for your children! The 24,500-square-foot fitness and family fun center offers summer camp for Tampa kids from May 28 through Aug. 9 at its Brandon location. Half-day sessions run from 8:30 a.m. - 12:30 p.m. or 12:30 - 5 p.m. Full day summer campers remain on-site from 8:30 a.m. - 5 p.m.
Tots through teens are invited to “jump in when school is out” to discover hours of fun as they as they practice slam dunks on the Sky Slam court, compete in Ultimate Dodgeball with teammates, tumble into the foam zone and create masterpieces with arts and crafts. 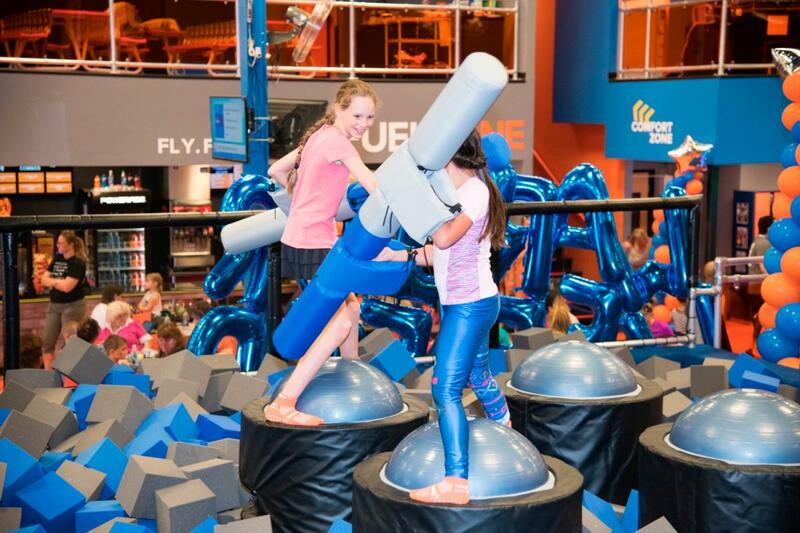 "The summer camp program is a great way for youngsters to have fun with others, engage in athletic activities plus tap into their inner artists and be creative," said Tom Moore, Sky Zone operations manager. There are lots of ways to experience all that Sky Zone offers. Be sure to check out all of the core attractions. Why be bored with more run-of-the-mill sports and less exciting ways to spend the summer? At Sky Camp, your legs and lungs will work hard, but so will your smile muscles. And it's an unforgettable summer camp in Tampa that kids won't forget! Registration is now available for $35.99 daily for half-days or $139.99 per week. Full day enrollments are $45.99 daily for $179.99 for Monday-Friday week-long sessions. Enroll a second child for summer camp in Brandon, and take advantage of the 20% sibling discount. For more information, go to Sky Camp! 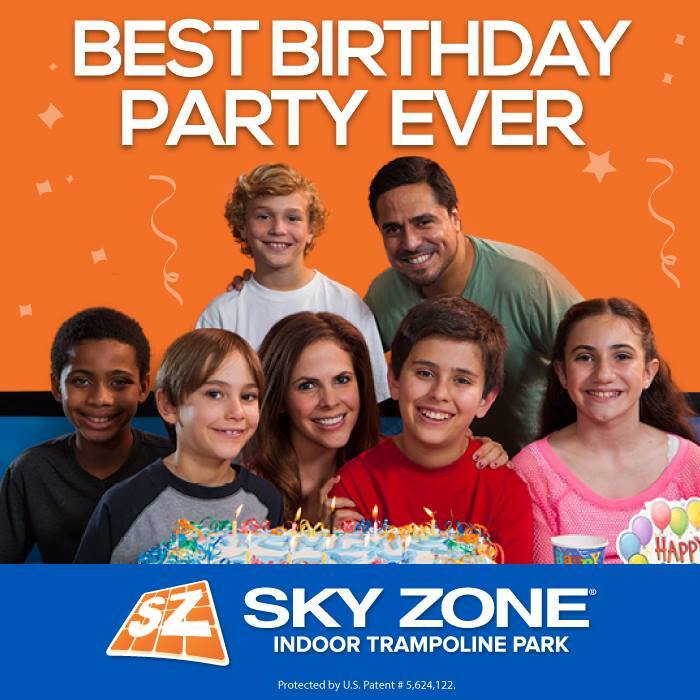 Sky Zone is the world’s first indoor trampoline park, and also a great place to host a birthday party as well!